Alongside its announcement of new products that will sport Google Assistant in 2019, the company also announced changes to Assistant itself at CES. “By bringing the best of Google services and AI to the Assistant, we’re focused on building the most helpful digital assistant when you’re at home, in your car or on the go,” the company said on its website. You can now use Assistant from within Google Maps for both Android and iOS, allowing users to share Maps info with others, or control the app using voice commands. 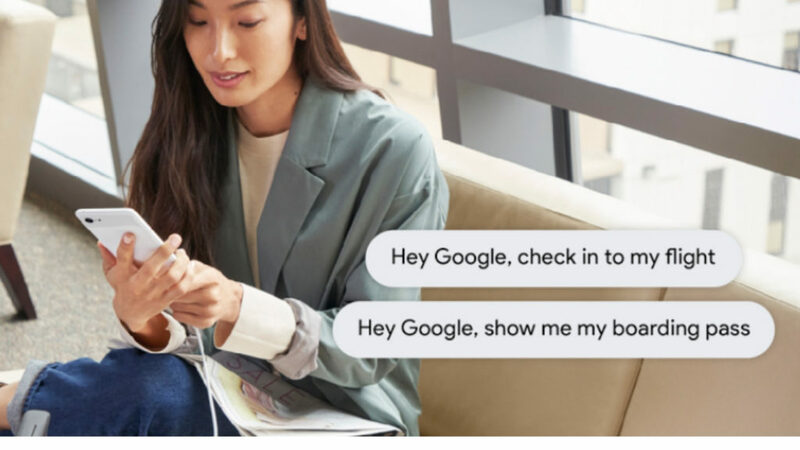 “With just your voice, you’ll be able to share your ETA with friends and family, reply to text messages, play music and podcasts, search for places along your route, add a new stop and auto-punctuate your message,” Google explains further. The feature has already begun rolling out worldwide. Google Assistant will also be able to check you in to flights and access your boarding pass through your Gmail account on both Android and iOS devices. “You can also say, ‘Hey Google, check in to my flight’ to prompt the Assistant to check in for you, so you don’t need to remember your confirmation number. And after you’ve checked in, you can view your boarding pass in Google Pay or say, ‘Hey Google, show me my boarding pass’,” says the company. The feature will first roll out to United Airlines US domestic flights. You will soon be able to use Google Assistant even if your phone is locked. “You can ask your Google Assistant to show restaurants nearby, set up and dismiss alarms, schedule reminders and timers without unlocking your phone,” says Google. The feature will roll out to Android devices in the coming weeks, although it is already available for Google Pixel users. Finally, Google Assistant will be able to help you with foreign languages through a new “Interpreter Mode” for Google Home and smart displays. “Just say ‘Hey Google, be my French interpreter’ to start Interpreter Mode and get real-time spoken and (on Smart Displays) written translation to aid the conversation,” the company explains. This feature will be available to try out during CES 2019 this week in Las Vegas, but it’s not clear when the feature will roll out to users.